I've got a pretty little update for you guys today! 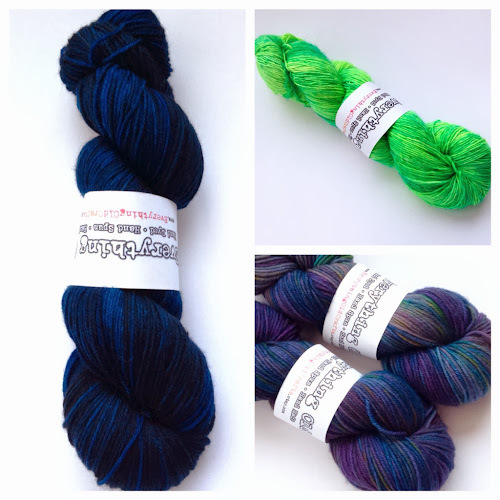 It features three of my favourite colours to dye - Deep Space, Supergreen, and Kozmic Blues. I took the photos with my ipod today to see how it worked out. I think next week I'll be going back to the regular camera. The colours are fairly accurate but the background isn't as bright as I would like. Ah well, I tried.